It’s a damn good day. 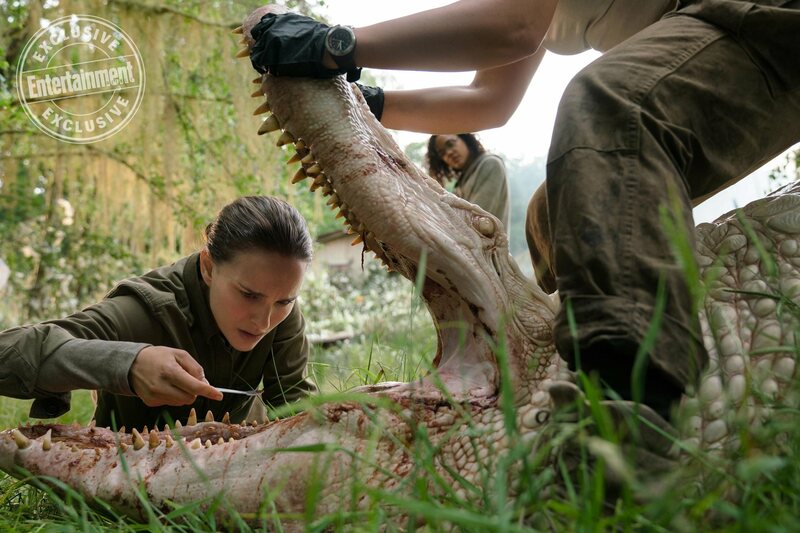 Thanks to Entertainment Weekly, we now have our first official look at one of next year’s most anticipated, Annihilation. The film is written and directed by Alex Garland, the man behind 2015’s best overall film, Ex Machina. The film is based on the “terrifying horror” novel by Jeff VanderMeer of the same name, which is the first of a trilogy. We’ve actually received a few bts shots from the film via instagram, but EW revealed our first look this morning, which also came with the news that the trailer will be dropped tomorrow. HOLD THE PHONE. Make sure you come back here tomorrow as we’ll be covering everything Annihilation as soon as it’s released. The film also stars Jennifer Jason Leigh, Gina Rodriguez, Tessa Thompson, Tuva Novotny, and Oscar Isaac and will be released on February 23rd, 2018.